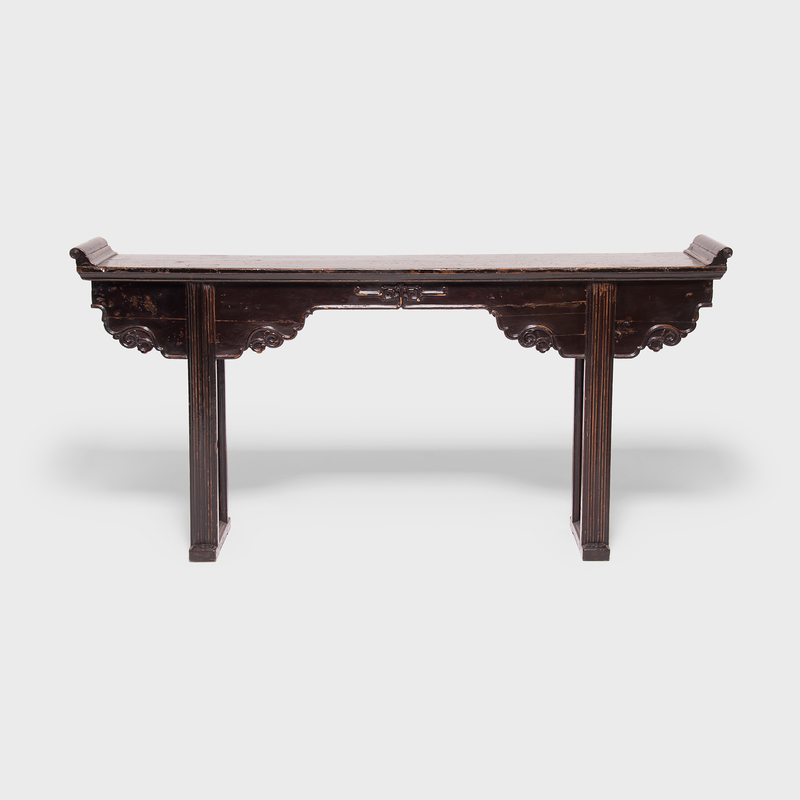 W: 50.0" D: 14.5" H: 32.75"
In ancient China, slender tables, like this one, were often used for placing items of luxury including musical instruments, jades, porcelain, or bouquets of flowers. 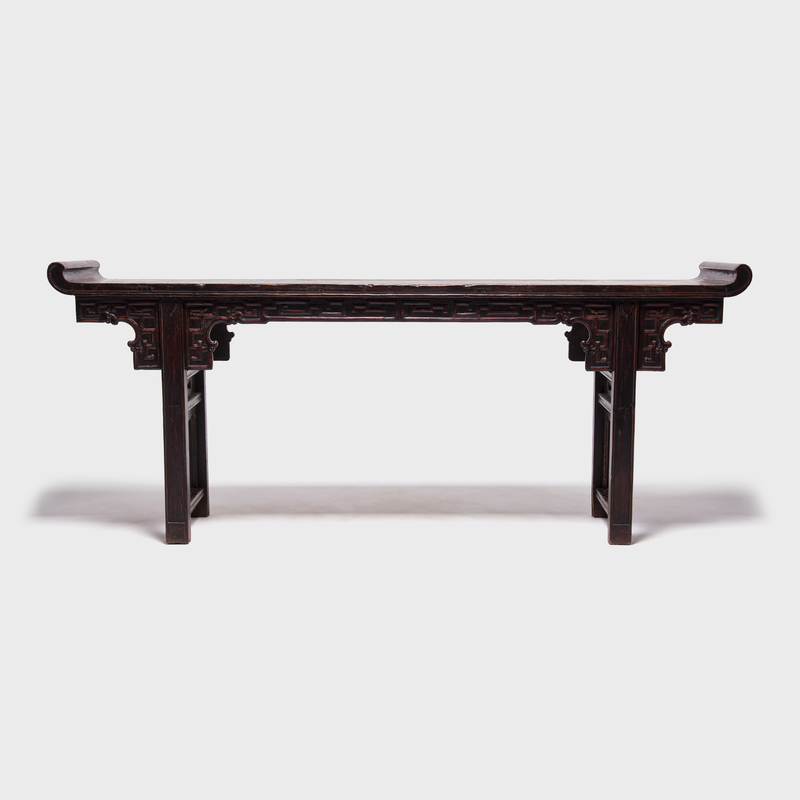 This elegant Elmwood table was made in Shanxi region of China over 150 years ago by a talented traditional carpenter. 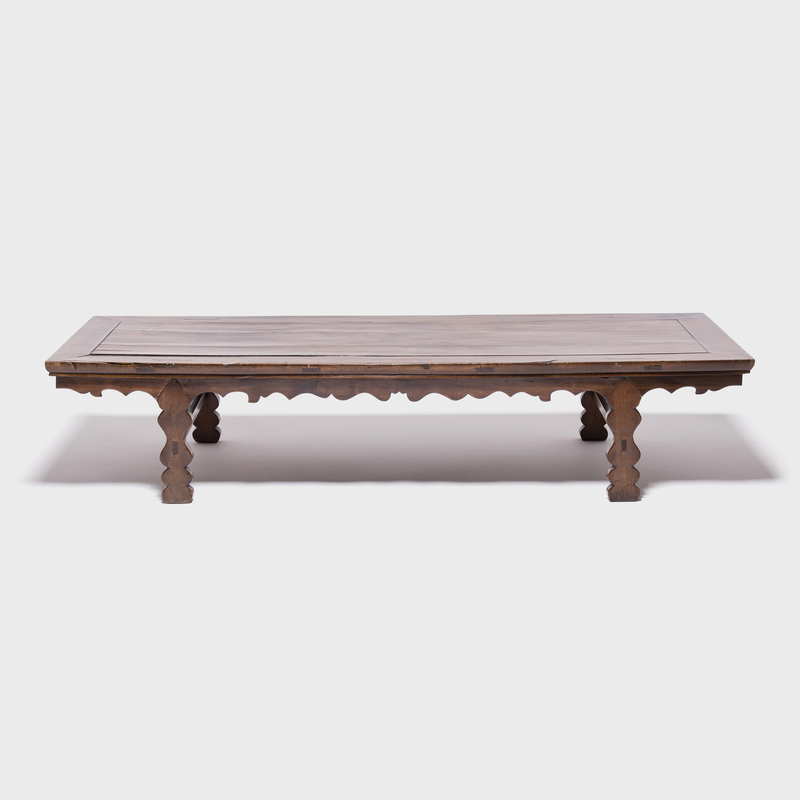 It is referred to as a garden table because it is the type of table that was easily transported inside and out, for use in a garden as needed. 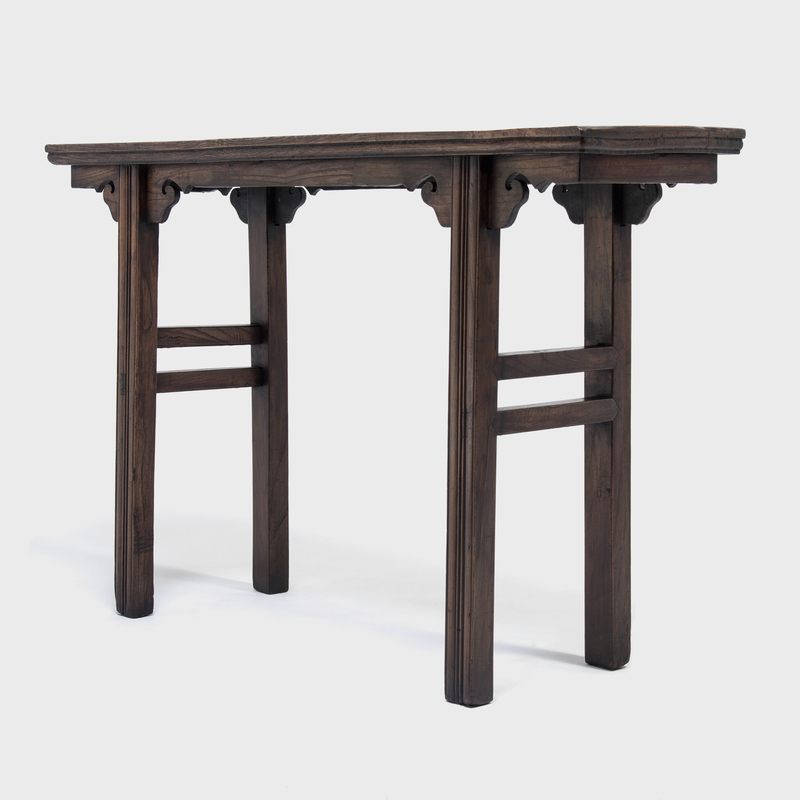 It has a substantial apron with scrolled ear spandrels, and the long slender legs are beaded with carved channels: details that balance, enhance and soften the handsome design. 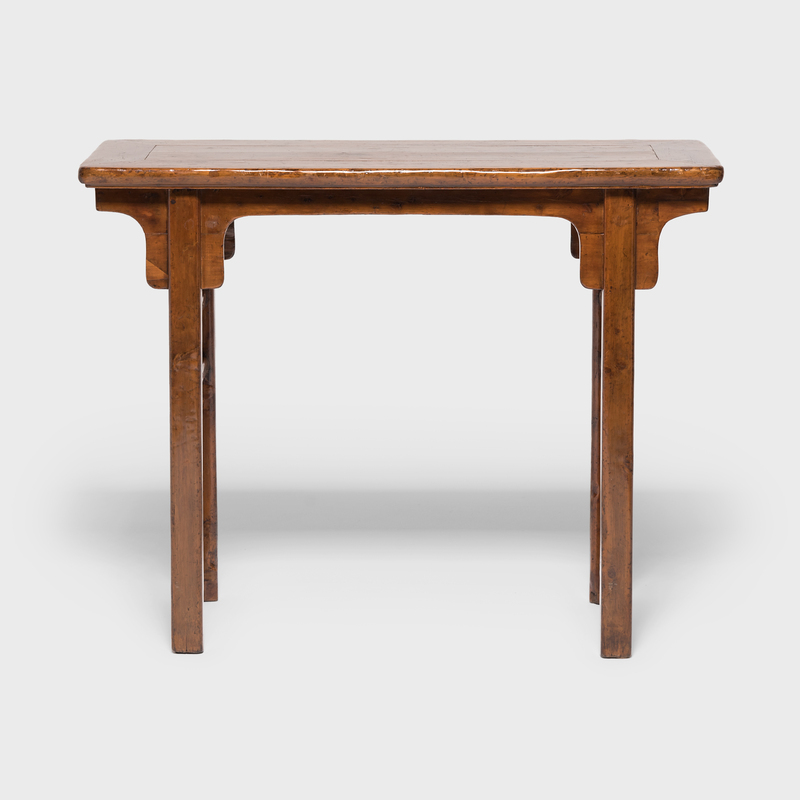 Table apron to floor: 30"